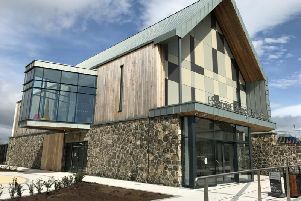 The two police districts that once governed Cookstown, Dungannon and Magherafelt merged on April 1 in an effort to streamline their services. The move, made in line with councils, also saw Superintendent Mike Baird take over as Mid Ulster’s first ever District Commander, supported by Chief Inspector Jane Humphries and the rest of his team. With 27 years experience as a police officer, Supt Baird worked in emergency planning at police headquarters before becoming Superintendent for Operations in the former F District. He has previously worked on high profile projects such as the 2013 G8 Summit and Giro D’Italia in 2014. Speaking about his new role, Supt Baird said: “We are looking forward to retaining and strengthening the links we have with people, organisations and groups in the area. “Our focus will remain on keeping communities safe, preventing crime and detecting criminals. To coincide with these changes in policing, PSNI chief constable George Hamilton has also sent an information pamphlet to every home in the area, detailing the force’s impending alterations. Conceding the fact that the PSNI will become a smaller organisation, he said “we must adapt to new pressures and challenges”, but added that he hoped to be able to do this while “keeping communities at the heart of everything do”. “Due to the impact on our budget, we are becoming a smaller organisation,” he continued, “which means we have to look at how we prioritise our reducing resources. “However, I want to reassure the public that we will continue to work tirelessly to keep people safe,” he added. Mid Ulster Councillor Mark Glasgow, however, has raised concerns about how, with cuts and a smaller police service, the PSNI will be able to properly serve rural communities.